The February Gallery is up over at Write.Click.Scrapbook.! This month's theme is TechLove. My layout compares my first mobile phone to my current iPhone. It is amazing how far the technology has advanced in just a few short years! 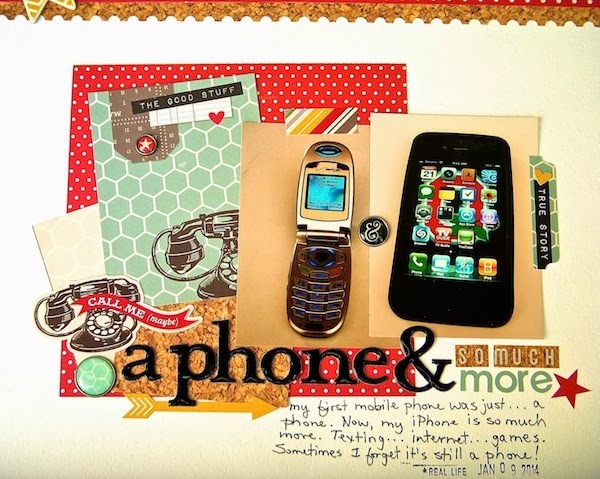 Journaling reads: My first mobile phone was just…a phone. Now, my iPhone is so much more. Texting…internet…games. Sometimes I forget it's still a phone! You can find more inspiration from the rest of the team right here. What technology do you feel inspired to scrap? Love your take on the challenge, Sue, and the side-by-side comparisons of your phones. Technology sure has come a long way! Love seeing how you have used these papers and embellishments from Simple Stories. I also like your new blog header. Guess your husband is getting lots of snow photos this winter! love coming to your blog, never disappoint~awesome layout!! What a fun page! There's so much to see, yet it looks clean and lovely! Really nice idea! I have taken a photo of my phone for a similarly themed layout and I think it is fun to save normal things like that for days when something completely different is normal =) Love the layout! This is awesome! Love how you used that SS collection! 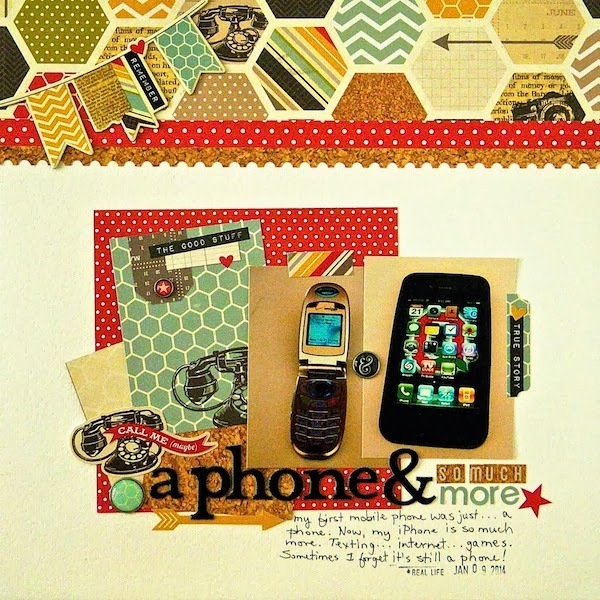 Love the awesome jewel toned colors you used on this layout Sue! And what a great idea to compare the two different phones! Well, I am so not a techie - but I am a booklover - so my Nook has been immortalized on a page. That's it. I'm keeping my non-smart phone as long as possible. Great colors on your page Sue. Great idea for a page!